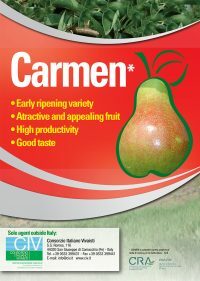 Thanks to the fruitful collaboration with several research institutions, C.R.E.A., owner of Carmen * variety, granted to CIV a commercial Licence in European Union and in other many countries worldwide. 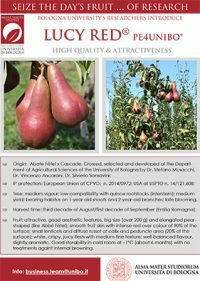 In the early ‘90s the Department of Agricultural Sciences of the University of Bologna began the pear breeding program which is being supported by CIV since year 2007. 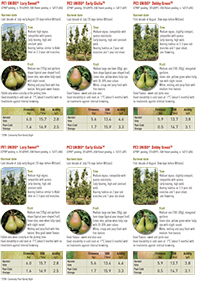 This collaboration has led to the protection of the intellectual properties of the most promising pear selections.